The sale of fully loaded Kodi boxes has been banned on sites like Facebook and Amazon for some time now. But users have found a way around the blocks which is both simple and quite witty too. The sale of fully loaded Kodi boxes is illegal in the UK as well as in many other countries around the world. 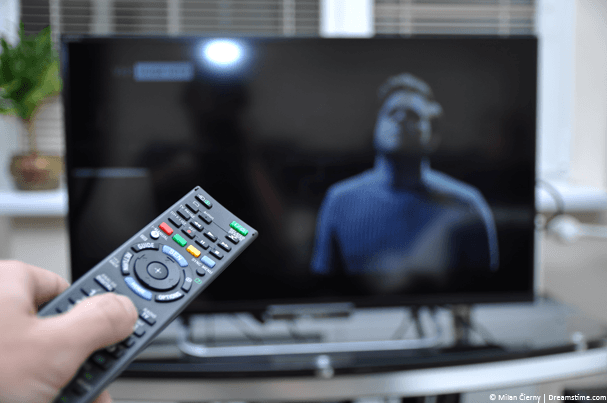 As regular readers will know, a number of people have been convicted, fined, and even jailed for selling the set-top boxes which are pre-loaded with both the Kodi media player and a number of unofficial addons which allow users to access copyrighted content. But even this hasn’t managed to stem the flow and not only is the number of people using Kodi in the UK on the rise, but the sale of fully loaded Kodi boxes continues apace too. Law enforcement bodies had hoped that by persuading sites such as Amazon, Facebook, and eBay, to ban the sale of such boxes, they would be significantly disrupting this market. But, as British newspaper the Daily Express has reported recently, this has not been the case. They have highlighted a number of adverts on Facebook where sellers are using cunning spelling errors to get around the algorithms which are used to try and block the sale of Kodi boxes. In one, the user asks his readers if they are fed up with excessive ‘Sly and Vermin’ television bills. This is clearly a reference to British cable TV providers Sky and Virgin, and as well as denigrating both with the choice of replacement words, it also helps to keep the advert online. A quick search on Facebook for the term ‘Sly and Vermin’ turns up a number of adverts using similar deliberate typos to continue to get their message across. In this way, it still remains possible for those that are looking to buy a fully loaded Kodi box on those platforms which have supposedly banned their sale. It should be noted that such listings continue to be both against UK law and the commerce policies of all of these sites. The Express report confirms that Facebook has changed its own Commerce Policy to prohibit the sale of fully loaded Kodi boxes and their advertising policy now specifically prohibits the posting of adverts for such boxes too. While we here at VPNCompare.co.uk in no way condone the use of unofficial Kodi addons to infringe on legitimately held intellectual property rights, the fact is that Kodi is not going to go away, regardless of the efforts of copyright holders to outlaw it. Kodi is a piece of open source software and anyone can access and edit its source code as they see fit. This means that even if Kodi was to be taken down tomorrow, it would be a matter of days before a replacement was brought online. This pattern has already been seen with Kodi addons and repositories too. Legal challenges have forced many of the most popular unofficial addons offline in the past year. But no sooner have they disappeared then another add-on has stepped up to replace them. This is a game of cat and mouse which will continue ad-infinitum and which copyright holders cannot hope to win, even with the law on their side. Rather than try to meet the challenge of Kodi head on, they would be better advised to try and tempt users away from unofficial addons by making their products more affordable and accessible. It should also be remembered that while there are undoubtedly a number of Kodi users who do use the platform for illegal activity, most make use of it for completely legitimate purposes. Yet the continued attacks on Kodi and its users have meant that even those who are using the software completely legally are still advised to take steps to protect their privacy and security while doing so. It is widely acknowledged by both experts and users that no-one these days should be using Kodi without first connecting to a VPN. A VPN will encrypt all of your data and hide your IP Address and so help to keep you safe and secure while using Kodi with any addons, unofficial or otherwise. There are plenty of VPNs which claim to be the best ones around for Kodi users. Some, such as IPVanish or ExpressVPN have a legitimate claim to this, while others are on less solid ground. If you want to protect yourself while using Kodi, we would strongly recommend you have a read of our guide to the Best VPN for Kodi 2018 which outlines our top 5 VPN providers for Kodi and why they are the best. And whether you are using Kodi to watch ‘Sly and Vermin’ streams illegally or using it for completely legitimate purposes, always be sure to use a VPN.